Contact us for get the best price!! April 15, 2015. 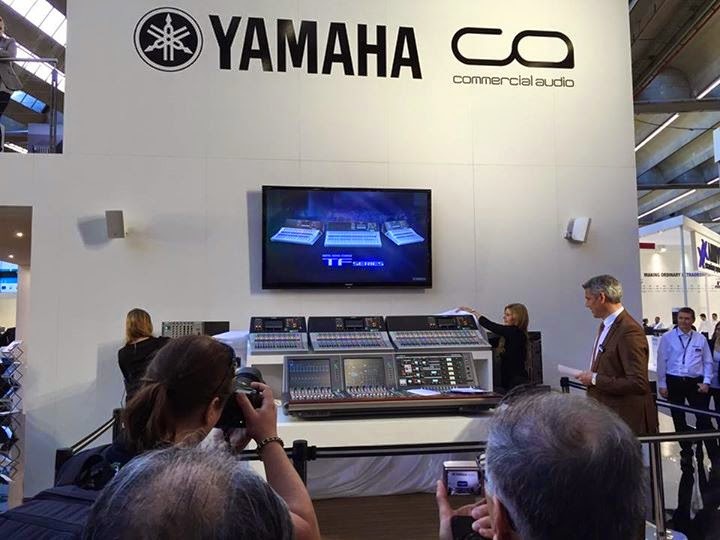 Shizuoka, Japan – ProLight+Sound 2015 sees the launch of Yamaha’s TF series digital consoles, heralding a new ‘best in class’ solution for small to medium scale mixing requirements. Yamaha redefined digital mixing for the live and installed sound industries with the RIVAGE PM10, CL and QL series consoles. Now, with the TF series, the company brings its state-of-the-art technology to an even wider range of users, with advanced features and renowned Yamaha reliability at an exceptional price point. And with key features aimed at new users and experienced professionals alike, the TF series offers the kind of facilities and performance enjoyed by large-scale productions for even the most modest sound reinforcement applications. 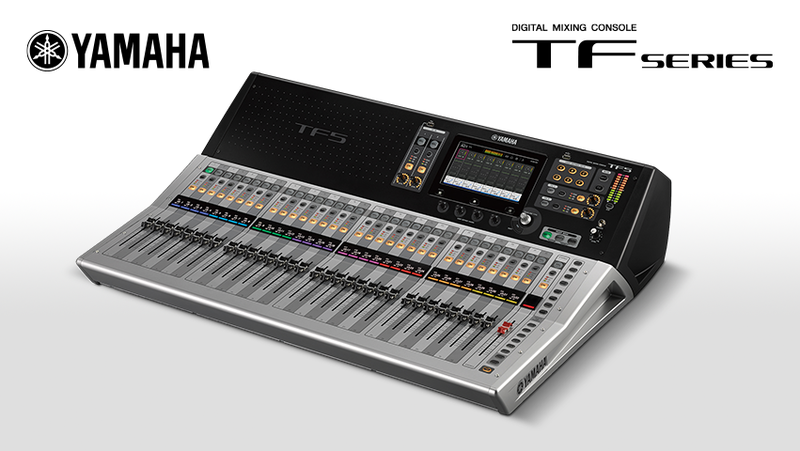 The TF series comprises three compact, performance-packed Yamaha digital mixing consoles. The TF5, TF3, and TF1 respectively feature 33, 25, or 17 motor faders along with 32, 24, or 16 rear-panel analog inputs featuring recallable Yamaha D-PRE™ preamplifiers for the first time in a digital console. This facility provides greatly improved support for live music and events where full setup changes need to be made on the fly. There are a total of 48 inputs on the TF5 and TF3, with 40 on the TF1, including dual stereo analog/USB digital inputs and dual returns. Advanced live recording features include up to 34 x 34 channel recording and playback via USB 2.0 and 2 x 2 with a USB storage device. All of this, plus seamless operation with high-performance I/O racks, makes the TF series an outstanding choice for a wide range of applications. TouchFlow Operation™ is a new approach to console operation that combines elements of Yamaha’s highly regarded user interfaces with an advanced touch panel system, allowing users to respond to the music and artists on stage with unprecedented speed and freedom. Experienced engineers and newcomers alike will find it easier than ever to achieve the ideal mix. A number of TF series features also contribute to faster, smoother setup. 1-knob COMP™ and 1-knob EQ™ features make it easy to dial in the ideal sound via a single rotary control - on inputs for adjusting individual sources and on outputs for overall sound control. An innovative GainFinder™ feature facilitates optimum gain setup for individual input signals, making ideal overall signal quality easily achievable.